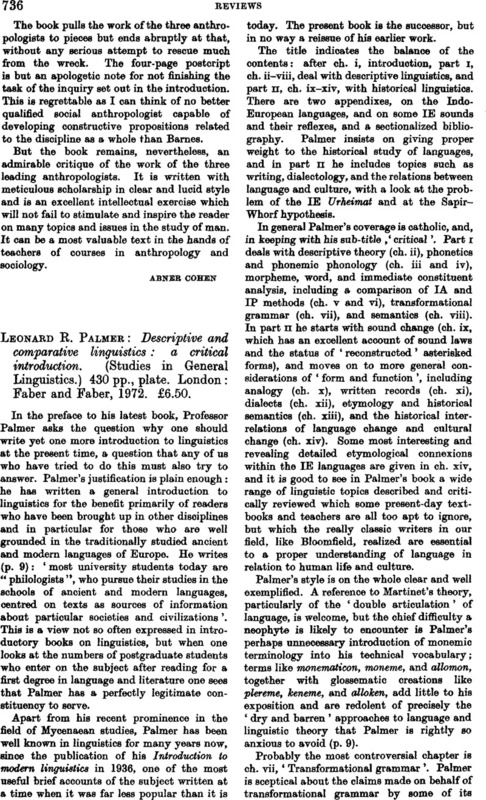 Leonard E. Palmer: Descriptive and comparative linguistics: a critical introduction. (Studies in General Linguistics.) 430 pp., plate. London: Faber and Faber, 1972. £6.50.